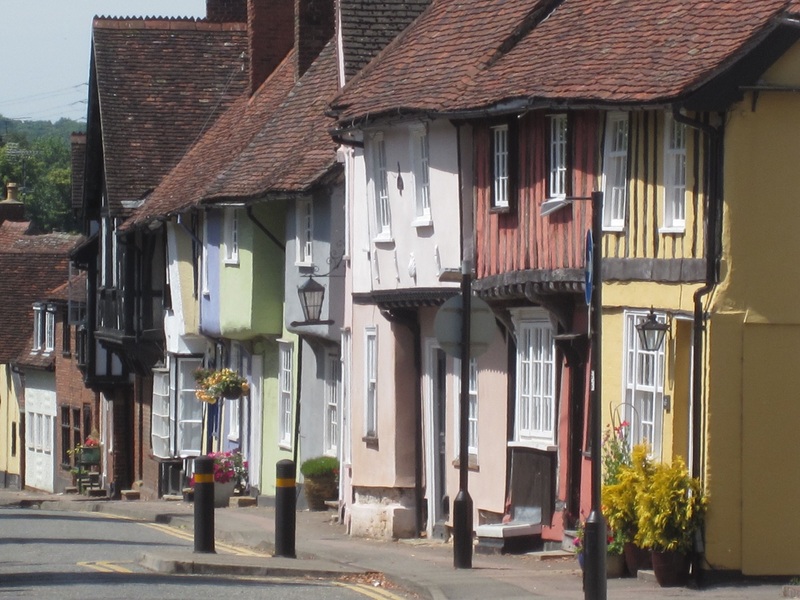 Alresford has it all, history, beauty and a unique trade of its own! Famous for its watercress trade, holding a festival each spring! What I love about Alresford is the beauty of nature mixed in with the trade of the town. In the distance over the river Alre you can see the famous watercress beds, the river maintaining ideal water conditions for the production of watercress. A stroll down Mill Hill takes you past the Old Timbers, considered to be the oldest house in Alresford dating to the 14th century and a glorious site. The Town Mill although industrial, has a beauty of its own complementing the surrounding nature. Look out for wild watercress as you walk around the springs surrounding the mill. Even more magnificent is the thatched Fulling Mill, built in the 13th century which is also timber framed. Broad Street is one of my favourite streets in the UK. Georgian houses flank both sides of the street, all of them elegantly built after the numerous fires over the centuries. Alresford is a market town, holding a market on Broad Street every Thursday. Another unique trade of Alresford is the eel industry, marked by the 19th century Eel House. During the autumn months, eel migrated to Alresford and were trapped by the Eel House. There is still more to see, look out for the Alresbury Park House as you enjoy your visit. I would recommend a walk or hike in the exquisite countryside!